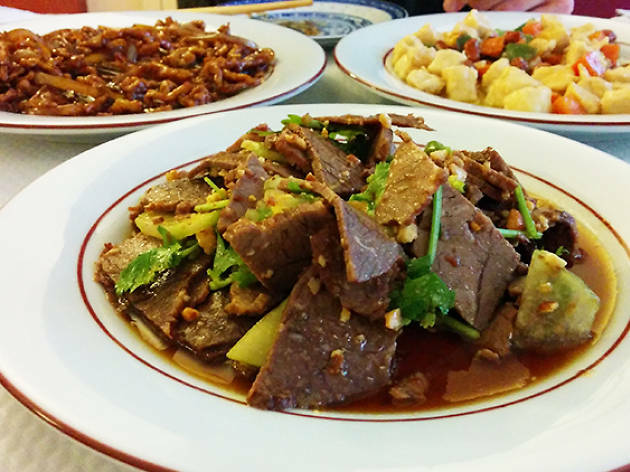 This family-run Manchu restaurant places an emphasis on generously spicy sharing plates. If you don’t like sharing your food then you can forget all about Manchu cuisine. At Chez Tonton, a self-proclaimed authentic regional Chinese restaurant, it’s recommended you share dishes around the table (‘Oh, no!’ We hear you say.) Culinary tradition in this northwestern region of China also dictates that meat should accompany rice, not the other way round, that all savoury courses are served at once, and as for dessert? That doesn’t even exist. Basically, you can expect to have any expectations about how dinner should be served wholly upturned here. Whipping up an array of signature sauces and dishes to order, the chef – the titular ‘tonton’, ‘uncle’, whose name remains a mystery – apparently has over 35 years’ kitchen experience and this is more than evident in his sumptuous cooking. 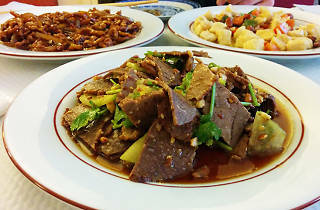 So while most of the menu at this family-run restaurant is dedicated to traditional Manchu dishes like a succulent plate of bittersweet pork or chicken served with peanuts, carrots and green peppers, it’s his own creation, the ‘Tonton beef’, that really stands out. Thinly sliced, and lightly seasoned with coriander, the dish is utterly moreish.